Zudem lassen sich nur die Default Profile unter Security Profiles editieren, die weiteren Standard Profile fehlen. 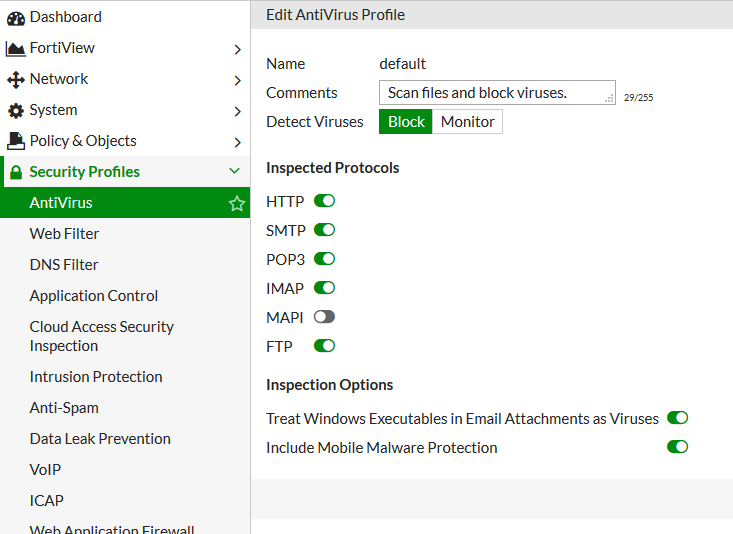 Also only default profiles are visible and editable in the UTM profile sections, other default profiles are missing. Dies liegt an der Default Einstellung des Feature Select. Um alle Profile zu sehen und in den Policies anzuwenden, muss das „Additional Feature“ –> Multiple Security Profiles“ wie im Screenshot unten aktiviert werden. This is caused by the default settings of the feature select options. 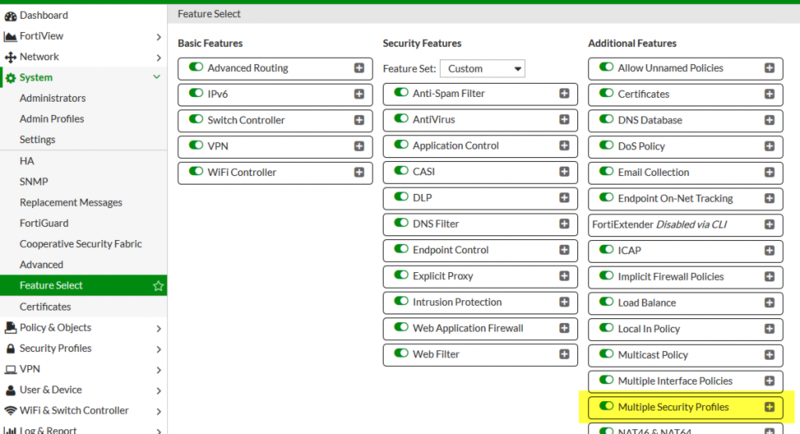 To see and choose all UTM profiles in firewall policies, you need to activate the „Multiple Security Profiles“ within the „System“ –> „Feature Select“ options.